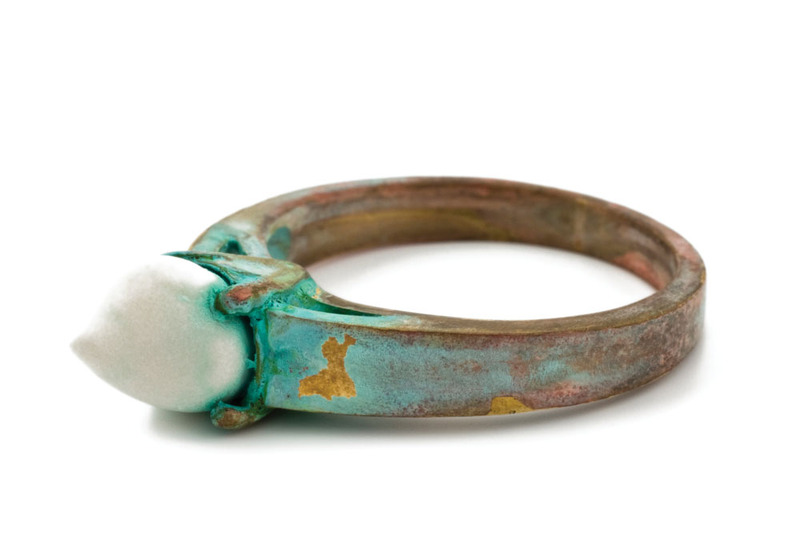 Jeweler Ted Noten entombs rats and revolvers in acrylic; Karl Fritsch oxidizes gold rings until they look like brute iron. 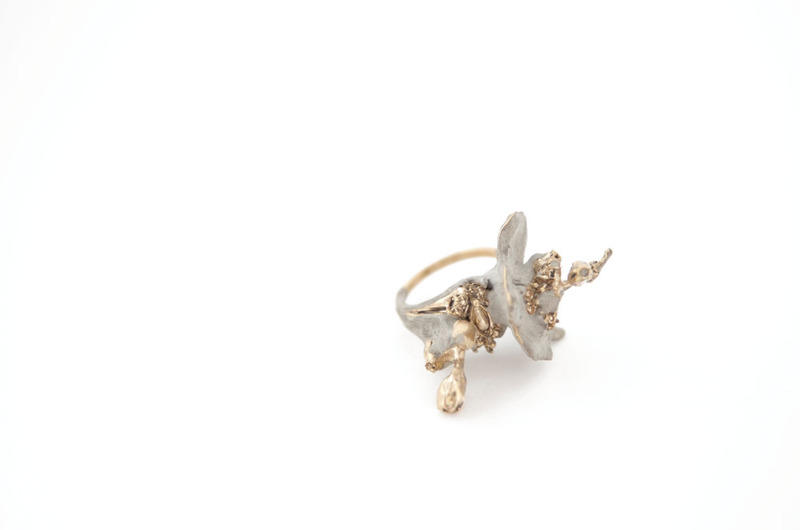 In her own way, New York-based jewelry designer Ruta Reifen uses materials to express ideas too. Her work is less about decay, though, than inexorable growth, the enriching synthesis of opposites, and whimsy. Reifen, 28, has worked with plaster, paper, and copper; her Floral Charades series (2011-present) features epoxy, thread, and auto paint. 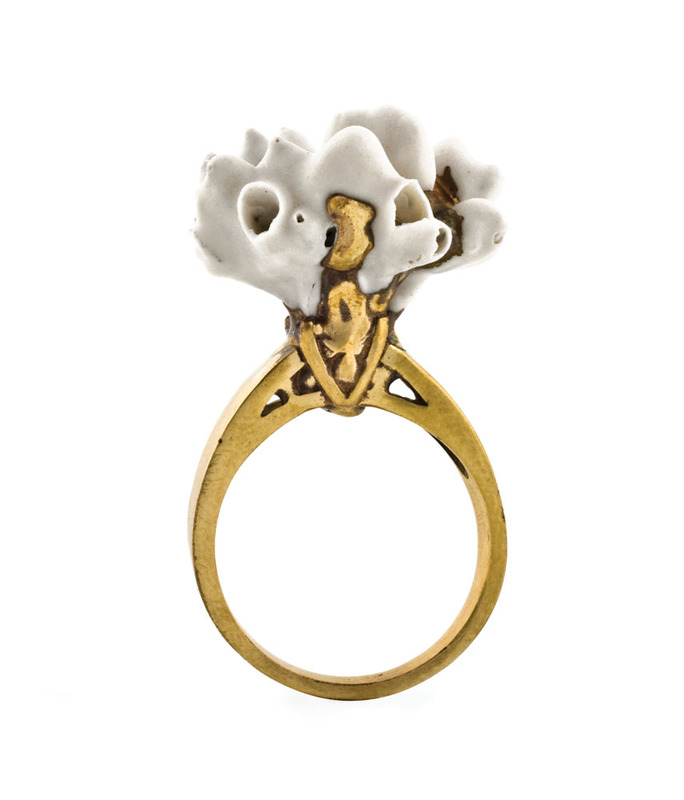 The Waiting for Godot rings (2009) combine porcelain, gold, and – hidden under the gold – brass. “Brass is a sassy material,” says the jewelry designer, who never wears jewelry herself, preferring to make for others. “When I teach, I always start with brass. It teaches you how to control your tools; you’re going to have fight it to do what you want to do.” The concept of plating the brass with gold is Reifen’s way of asking what we value. For her, the piece’s worth lies in its artistry, not its market price or the rarity of the material. 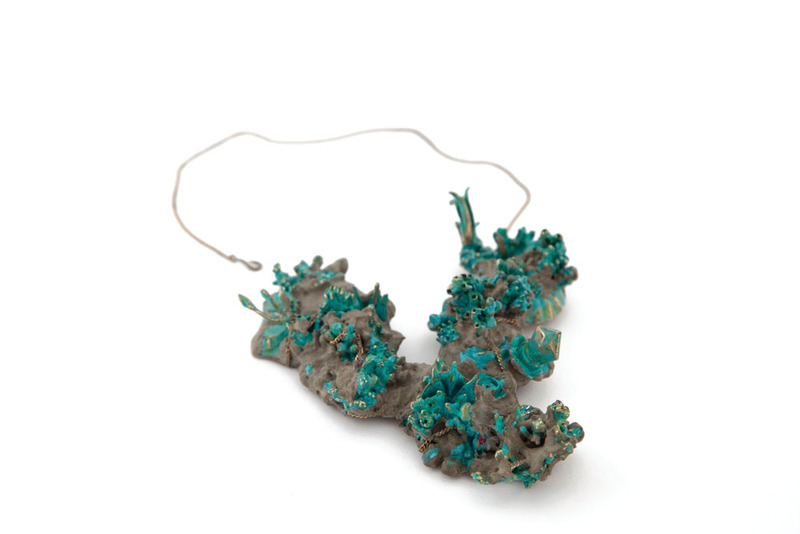 Reifen “fell in love” with jewelry making at age 17, when she took an evening course in silversmithing, continuing her studies at Shenkar College of Engineering and Design near Tel Aviv, then at the Rhode Island School of Design. When she graduated last year, she moved to New York, where by day she designs jewelry for upscale fashion houses. She was chosen to represent Brooklyn, where she lives, in Core77 magazine’s New York Design Week exhibition in May. Initially, her own work was material-focused, tactile, and abstract. The move to the United States made it more narrative, says the designer, who has also studied acting full time: “Adornment and performance and theatricality are very similar ideas.” In Reifen’s work, illusion, artificiality, and beauty direct us back to nature and reality. 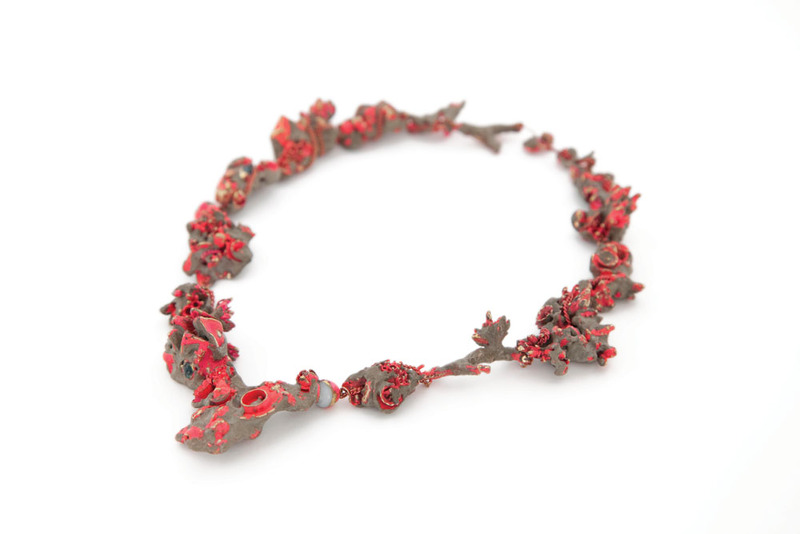 The colorful organic compositions of the Floral Charades necklaces are lacquered with plastic car paints. They question the importance of an object’s “authenticity”: Are we more drawn to a meticulously landscaped garden or to the jungle? 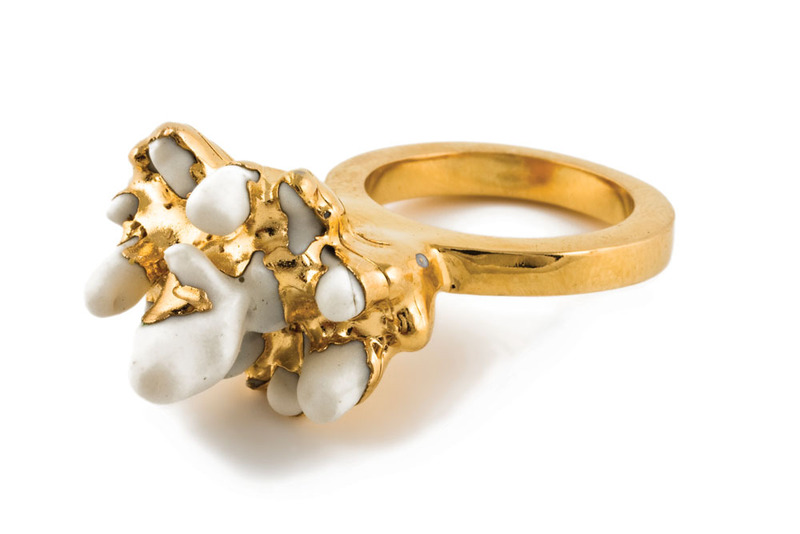 Material opposites, the porcelain and cement in her Petite Foreal rings (2010) evoke elemental forms: volcanic pumice, coral, or beeswax. “Porcelain takes a lot of time; you gamble with it, [you] don’t know if it’s going to work,” Reifen explains. “Cement is immediate. Applied like paint or corrosion over the metal, it gives the impression that these materials are growing on one other, that there’s a natural process at work.” Indeed, they burst through an earthen “crust” of gold-plated brass that, despite an untamed appearance, is actually the ring’s precisely sculpted setting. 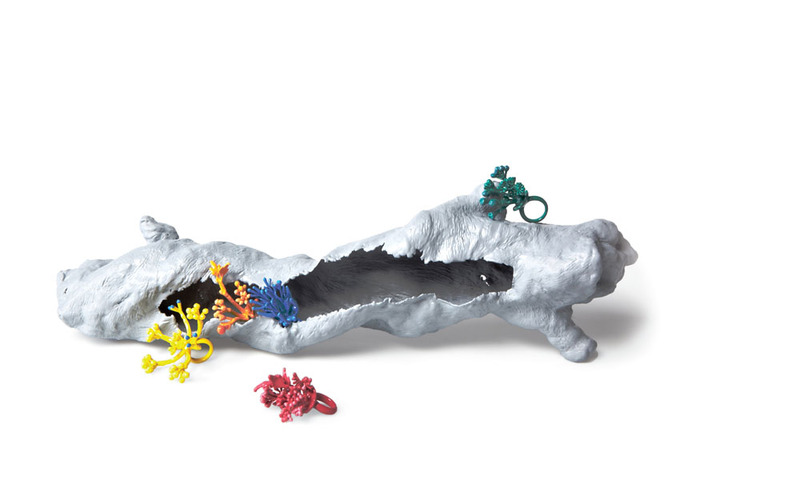 Reifen is represented by Gallery Loupe in Montclair, New Jersey. Her work will be part of “Forecast,” an exhibition at Penland Gallery in North Carolina through September 16. Shonquis Moreno contributes to publications such as Wallpaper* and Fast Company, as well as design books by Gestalten. Read profiles of the artists invited to our ACC Show in Baltimore and a special preview of their work.